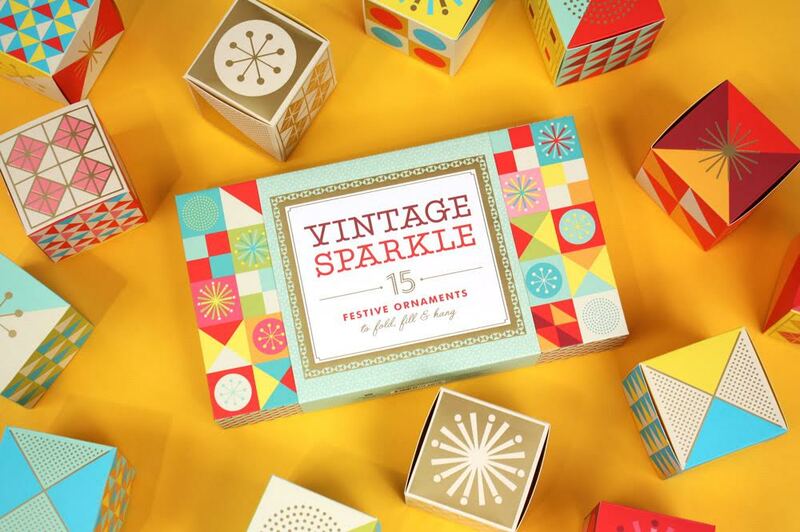 I’m really enjoying making the little, modern geometric fold-it-yourself boxes in Vintage Sparkle! They come with gold strings for hanging on the holiday tree or they would also be perfect as tiny gift boxes, too. I think they could look really pretty as a party table centerpiece or piled onto a tiered ceramic cake stand. Not only are they perfect little presents, but the box they are packaged in is gorgeous and would work as a lovely (and enjoyable crafting) gift itself!